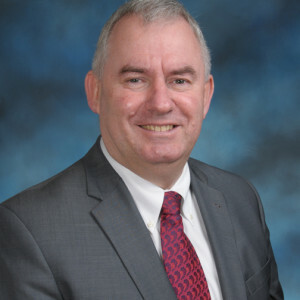 Dr. Malcolm Pritchard is the Head of School at the Independent Schools Foundation Academy, a K-12 Chinese-English, bilingual immersion IB World School in Hong Kong. Previously, he was Principal of Kormilda College, an IB school in Northern Australia; he also founded Caulfield Grammar School’s Nanjing Campus. Malcolm taught Chinese and served as the Head of Languages at Melbourne Grammar School. Malcolm holds a Bachelor of Arts in Asian History from the University of Queensland, an Master of Arts in Information Technology applications in Chinese language, and a Graduate Diploma of Education, both from Monash University. Malcolm completed his doctoral dissertation on the theoretical underpinnings of experiential learning at the University of Melbourne. He currently holds a principal’s seat on the IB Asia Pacific Regional Council, he is the interim Chair of the Board of Directors for the Association of Chinese and Mongolian International Baccalaureate Schools, and is a board member for the Ming De Experimental School in Shenzhen.